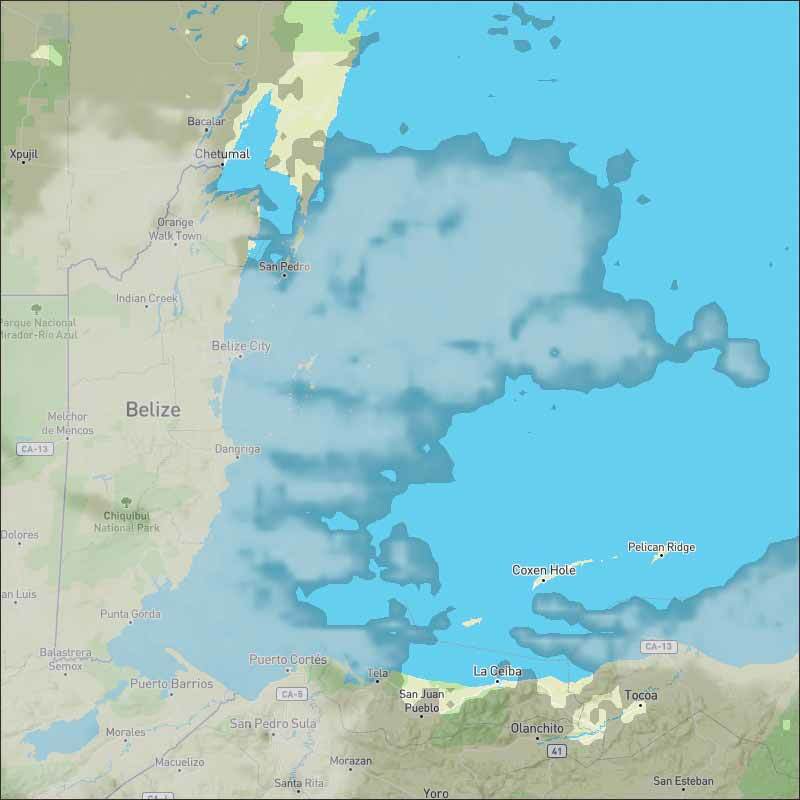 Belize NMS: A north to northeasterly and somewhat moist airflow will prevail. 24-hour forecast: Cloudy at times with a few showers mostly south and along some coastal areas today and tonight. General Outlook: For Friday and Friday night is for skies to be cloudy at times with a few showers mainly over the south and along some coastal areas, decreasing. Today N-NE 5-15 kts Light Chop-Choppy 2-4 ft A FEW SHOWERS, ESPECIALLY SOUTH. Tonight N-NE 5-15 kts Light Chop-Choppy 2-4 ft A FEW SHOWERS, ESPECIALLY SOUTH. Tomorrow N-NE 5-15 kts Light Chop-Choppy 2-4 ft A FEW SHOWERS, ESPECIALLY SOUTH. Outlook E-NE 5-15 kts Light Chop-Choppy 2-4 ft A FEW SHOWERS, SOUTH. A cold front extends from E Cuba near 22N77W to Honduras near 16N85W. Scattered showers are within 60 nm of the front. 15-20 kt northerly winds are over the NW Caribbean N of the front. 10-20 kt tradewinds are over the remainder of the Caribbean. Scattered showers are over the Leeward Islands, Hispaniola, Jamaica, Costa Rica, W Panama, and NW Venezuela. Scattered moderate convection is over portions of N Colombia. In the upper levels, a large ridge is over the Caribbean and Central America with axis along 82W. Strong subsidence covers the entire area. Fresh to strong winds are expected to pulse at night within 60 nm off the coast of Colombia. The cold front will stall this morning and gradually weaken through late tonight when it is forecast to dissipate. Gentle to moderate winds will dominate across the remainder of the basin through Mon. 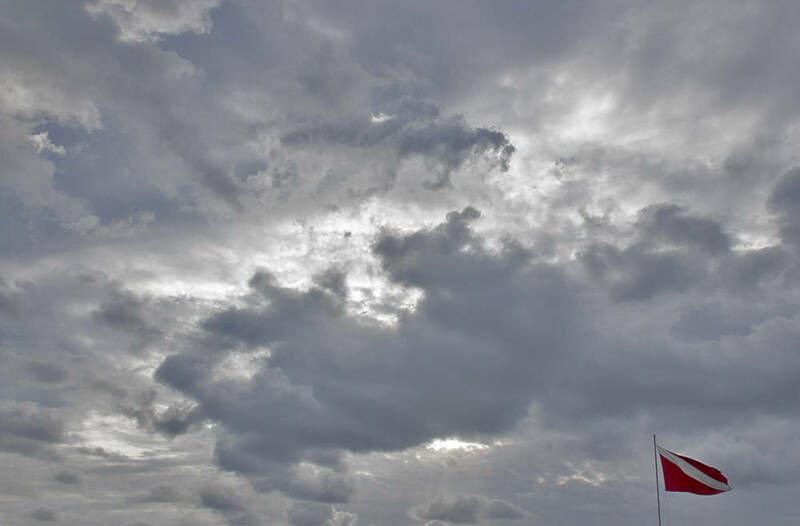 On Ambergris Caye this morning the sky is cloudy with a wind from the Northeast at 10 mph. The sea around our Barrier Reef is calm. Today's expected high temperature is 84 f. I have my raincoat with me. 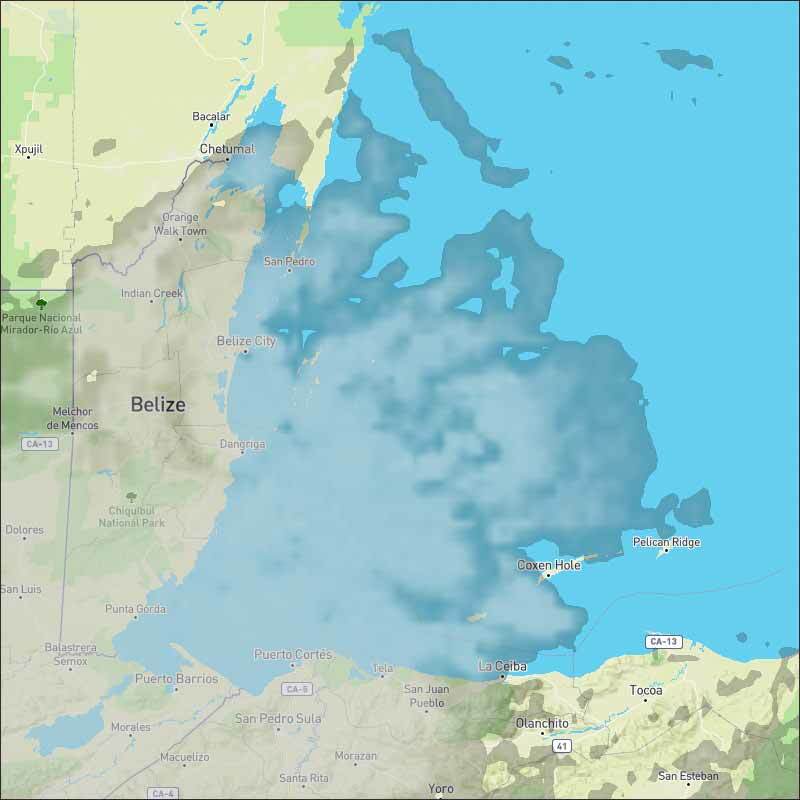 There are several areas of rain moving over Belize this morning, from the north to NNE. This is from a very large area of swellup caused by those two directions of wind I showed last night, from the NNW and NNE The collapsing swellup is sending cloud out in all directions. The scattered rain showers are reducing, but parts of central and south Belize are likely to continue rain showers on and off over the next couple of hours or more.